Revelation 17: 5 And upon her forehead was a name written, MYSTERY, BABYLON THE GREAT, THE MOTHER OF HARLOTS AND ABOMINATIONS OF THE EARTH. In Revelation 17 verse 5 God uses a very striking teaching technique to reinforce a very important truth which people need to get hold of. He tells you the name of the most evil religious system on the face of the earth but he prefaces the name with the word MYSTERY, what is the mystery which is being taught here? It is very simple. God is describing ROME and the religious system associated with it but he does not call it ROME, he calls it Babylon instead. The point is being made that the system of religion associated with Rome was not, is not and never will be true Christianity, the religion of Rome is in fact Babylonianism. All organised false religions find their source in the evil historic system of religion which was being propagated at Babylon and the evil driving force of Babylonianism is the murderous theology of Cain. Here is a greater mystery. If God has gone to the trouble of pointing out the true evil nature and evil origins of so-called “Roman Catholicism,” why do the leaders of the OO think it is a good idea to sit down and try to reason with the Babylonian representatives of the Mass house in Donegal street? Here is another mystery, why does the rank and file of the OO tolerate such spineless, brain-dead, unbiblical leadership? God tells people to come out of Babylon, not go into it in order to sit down and reason with it! Just in case you think I am making it up about OO leaders meeting with the Babylonian clergy, here is their own statement revealing the matter. THE Chairman, Officers and members of the United Districts Committee wish to register their disgust at the vindictive and draconian determination by the Parades Commission in relation to the 2013 United Districts Parade on Friday evening, 21st June and the Commission’s disdain for Unionist elected representatives. Many hours and days have been spent in genuine efforts to address the issue of respect as articulated by the Clergy and Parishioners of St. Patrick’s Roman Catholic Church in Donegall Street in the wake of talks last year. However, the silence in response to the comprehensive template suggested by the Orange Institution is deafening. This is fuelling the increasing anger and frustration of the Unionist and Loyalist communities. How many times do we all have to say sorry and how many times will our sincere attempts at pacifying a sensitive and volatile situation be thrown back in our faces. The Parades Commission are making a mockery of a shared future and by their continued legalizing of selective apartheid they our dismantling the framework that was being constructed around a shared city. There can be no shared city, when people refuse to share it. In spite of the obvious provocation we would call on all, not to be drawn into the trap being set by the commission and republicans. Violence is not the answer; other actions are being planned over the coming weeks that will address the inequalities, sectarian hatred and humiliation faced by the Unionist community. As you can see from the statement they are planning another hoax to follow the absurd “Graduated Response Hoax” from last year. It looks like we can call this latest planned hoax the “Other actions are being planned hoax.” lol lol The current OO leadership will not carry out any meaningful actions, they think they can con ALL the people ALL the time! The OO leadership is a total laughing-stock. It is time the rank and file removed them and installed leaders with a bit of backbone and a good Biblical knowledge. 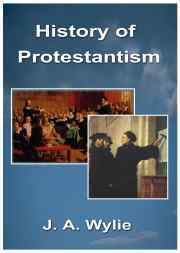 If you take time to read The History Of Protestantism, you will find historic true Protestantism has always produced courageous leaders. Never in my lifetime have I ever witnessed the leadership of the OO give any courageous leadership at any time. How do you explain that MYSTERY? Here is a video series which explains away the MYSTERY of poor leadership.